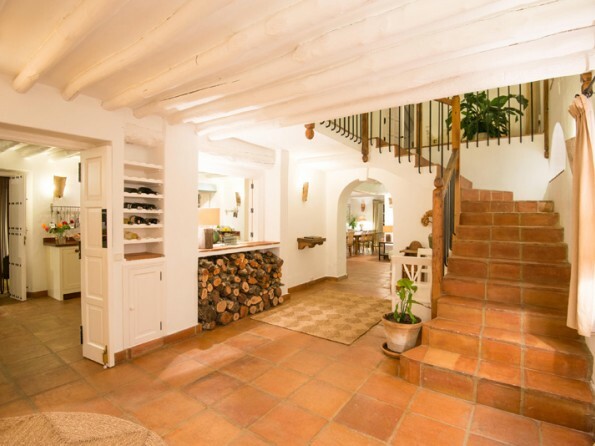 Tucked away in a rural Andalucian valley with wonderful views over the Grazalema National Park, El Noque is a spacious, luxurious and fully staffed villa which combines original character with contemporary comforts. Come and experience a little piece of paradise. 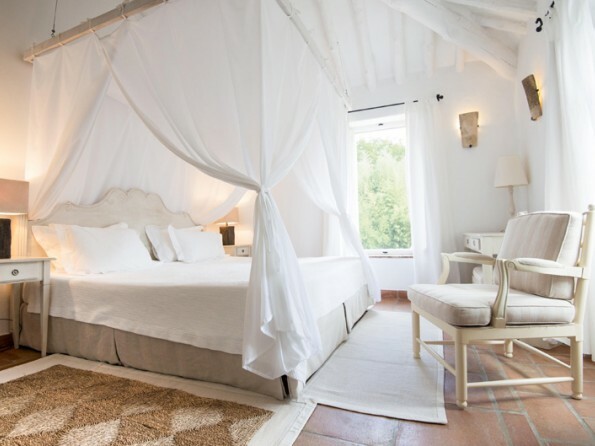 If you’re looking for somewhere private, peaceful and stylish from which to explore the beauty and tranquillity of southern Spain then look no further, El Noque offers elegance and hospitality in spades. 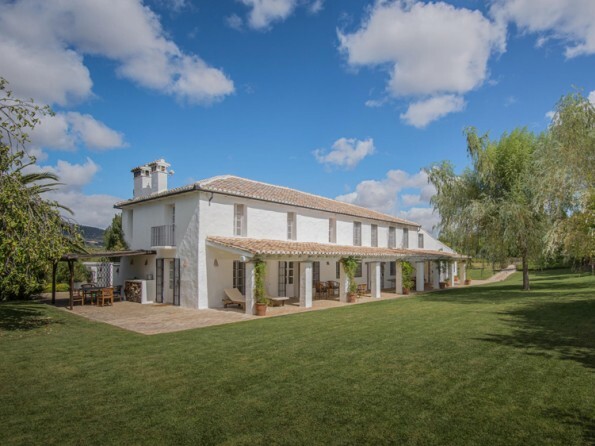 The seven bedrooms are effortlessly chic, the gardens are full of fruit trees and secluded spots and the surrounding countryside is simply stunning. 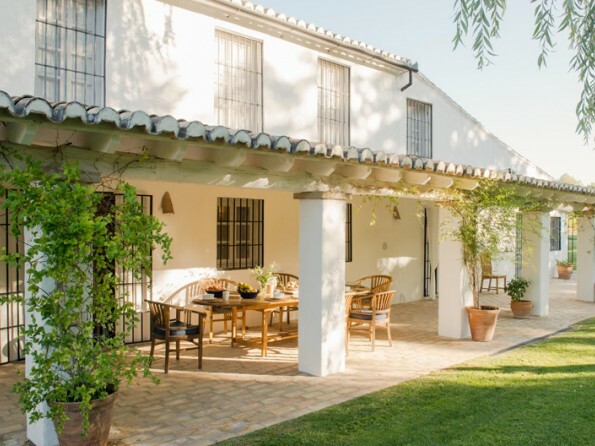 Whether you want to spend your days lounging by the pool, reading in the hammock, dining on the terrace or exploring the nearby towns and villages of sunny Andalucia, this villa provides the perfect base for a truly relaxing holiday. It would be very easy to while away the days in the garden or by the pool but if you want to get out and about there is a huge amount to see and do. 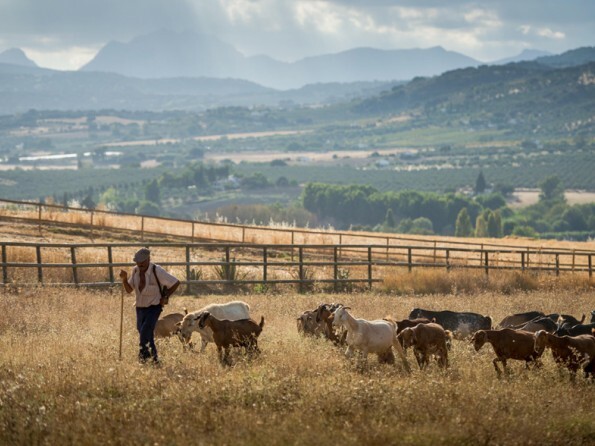 The village of Ronda, just 10 minutes away, has traditional restaurants and tapas bars aplenty, or you could take a day trip to Jerez, Seville, Granada or even Morocco. 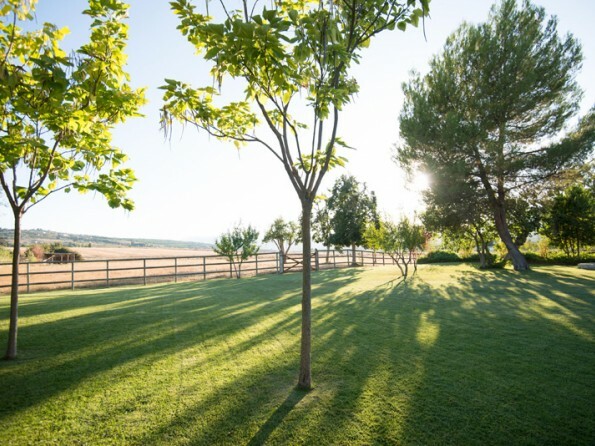 Activities like golf, tennis, horse riding, walking and hot air ballooning are available, you could visit a local bodega or watch olive oil being pressed, or you can head for the beaches, shops and water parks on the coast, just an hour away. Malaga is the nearest airport and there are detailed driving directions on the website. 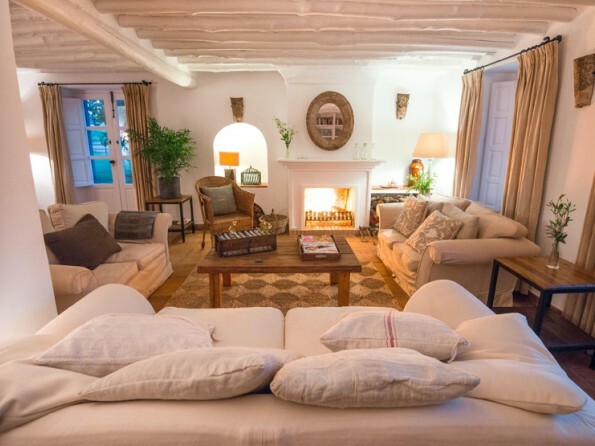 The farmhouse has been sensitively converted and has seven superb bedrooms (6 doubles, and one single) and six bathrooms, all of which have baths as well as showers. One of the downstairs bedrooms is fully disability friendly. There is a well-equipped kitchen with everything appliance and utensil a keen cook could hope to find, the sitting room has an open fireplace, doors to the garden and all the mod cons, the dining area can seat 12 comfortably and there is also a utility room, a cloak room and an entrance hall. 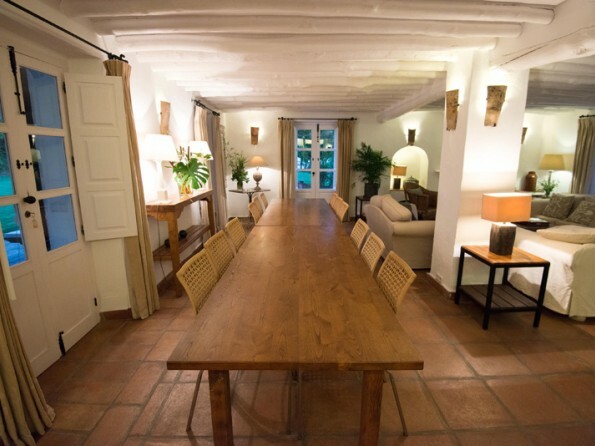 Under floor heating and fans keep things cosy in the winter and cool in the summer, and WiFi is provided throughout. 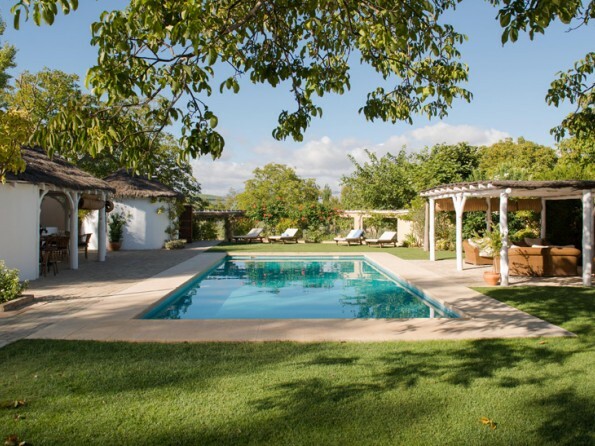 The house is set within 14 acres of gardens within which there is a solar heated pool surrounded by loungers and hammocks, not to mention a fully equipped kitchen and dining area and a changing room with shower and toilet. 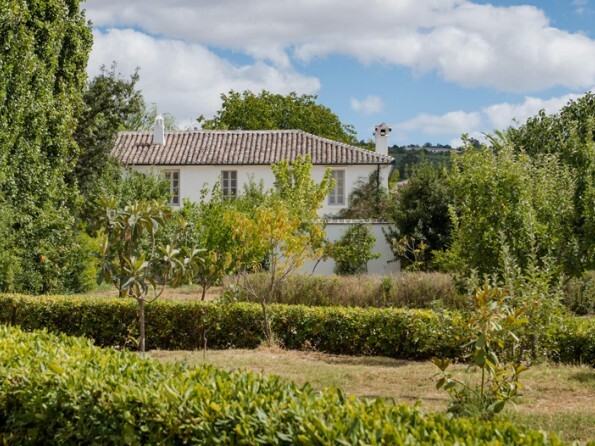 In the gardens you will also find table tennis and a coal BBQ, as well as an abundance of fruit trees, a horse paddock and plenty of quiet corners. 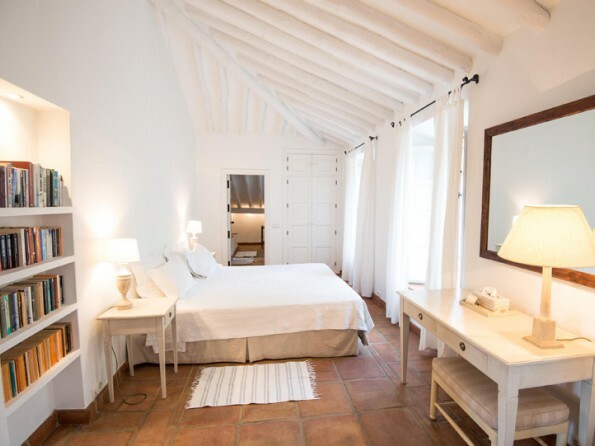 Renata, the full-time house manager, is always available to help and a number of ‘extra’ services can be made available to you, including a private chef, airport collection, babysitting, yoga sessions, massage, walking guides, horse riding and flamenco evenings. Please inquire for more details. Cost includes a mid-week clean, linen, towels and household supplies. Changeover day is Saturday with check in from 4pm and check out before 11am.